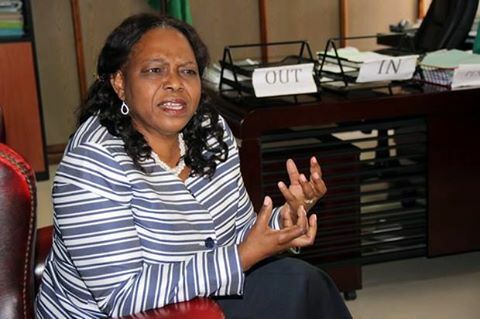 The case in which Minister of National Guidance and Religious Affairs Godfridah Sumaili is accused of contempt of court after she said Hichilema was in prison for refusing to recognise Edgar Lungu failed to take off today. The PF abused ZNBC reports that the case could not take off today because Rev Sumaili is out of the country. Rev Sumaili was dragged to court by Mr. Hichilema for commenting on the fake treason case which has since been dropped by the Director of Public Prosecutions -DPP via the now abused nolle prosequi. When the matter came up, defence Lawyer Lubinda Linyama informed the court that the Minister is out of jurisdiction. Mr. Linyama said all the parties in the matter were informed that the Minister will not be available. The DPP has already made an application to take over the case so that it is discontinued in an attempt to save Rev Sumaili from possible embarrassment. The DPP’s office claims that they applied to take over the case because all criminal matters in Zambia are supposed to be prosecuted by or with the permission of the DPP. Hichilema has hired his own private team of lawyers to prosecute the matter. Lusaka Magistrate Ireen Wishimanga is yet to deliver a ruling on the application by the DPP to take over the matter and has since adjourned the matter to September 11, 2017. Most of the cases linked with Hichilema’s dropped fake treason case are being discontinued.